The Wall Street Journal reports that Apple likely will use the same touch-panel technology it used with the iPad mini, corroborating earlier rumours coming from the Far East. Asian suppliers speaking with the WSJ have highlighted the result of the new display tech: the 9.7-inch iPad likely will be thinner and lighter compared to the iPad 4. The same touch-panel technology that made the iPad mini thin and light will likely feature in the next iPad, which is currently being produced by Apple Inc.’ Asian suppliers, according to people with knowledge of the matter. 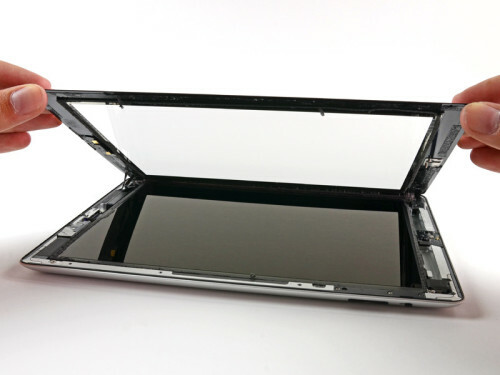 The IHS Suppli teardown revealed that iPad mini uses a film-based touch panel, that makes the display thinner and lighter. The success of the 7.9-inch tablet and the touch panel technology have prompted Apple to switch to this G2 touch sensor structure. The rather accurate Ming Chi Kuo of KGI securities said back in April that the iPad 5 likely will be 15% thinner and some 25% lighter than iPad 4 and will run on an A7 processor. His sources said nothing about a possible camera upgrade. Recent image leaks already have corroborated some of the analysts’ claims, revealing now it remains to be seen what Apple boiled during the past year.